It was a late start of the season by the Engineers, after 3 practice matches were washed out earlier. But the Engineers showed no sign of lack of practice in their comprehensive victory over Serendib in the KCL match. It was a beautiful day to be at Edogawa river to watch the fireworksdemonstration by Anurag and Prashant. Stand-in skipper Sidde Raju won the toss and elected to bat first. The new skipper tried his new strategy by sending his man with cool temperament, Shailaj Lal, and Ashok Kumar as openers. Jolly good Ashok contributed for a decent start but was caught at cover while trying to elevate the ball over the ropes after putting up 30 odd runs for the opening wicket. It seemed like Dinesh Singh, the next man in, had all going his way for the day before he was run out due to mix up with Shailaj. First lesson to learn, batsman at the crease communicate well and avoid run outs when runs are already coming easily. At least let’s not try getting Dinesh run out for the next game!! 🙂 Shailaj helped get the foundation for the day where duo of Anurag and Pradhant dominated rest of the inning. 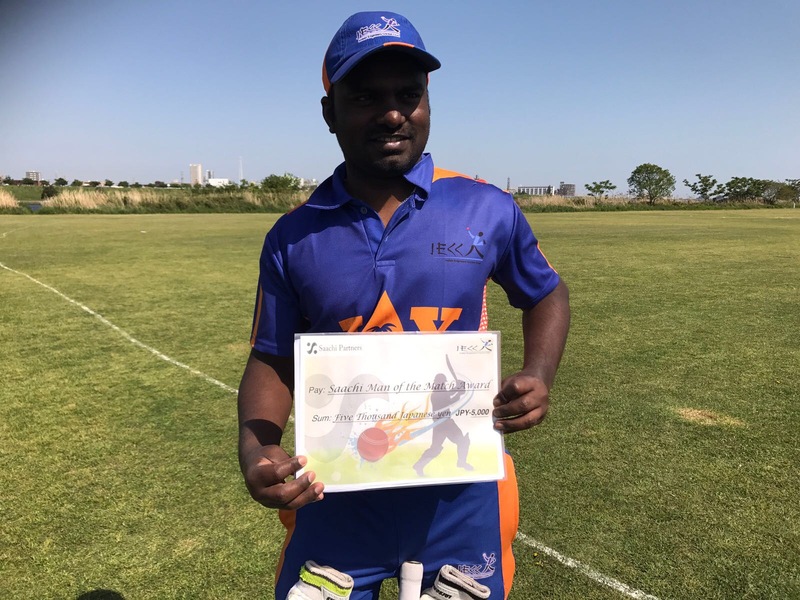 Couple of classic sixes and at least a dozen boundaries helped cross 150 before Prashant managed to crack his bat loosing momentum in the game for him and getting out for 43. I must repeat that we would love to such innings by Anurag and Prashant during rest of the season. It was not a great day for skipper Raju with the bat but his captaincy is well appreciated. With not much pressure on batsmen – score was 131/3 when skipper walked in – Raju’s debut innings as a skipper lasted only one ball. Yes, a Golden Duck, as his counterpart cleaned him up first ball. Add to the confusion in the dressing room, next wicket fell 2 balls later. All too familar situation for the Engineers, from 131/3, the scoreboard read 132/6. However, the last 5 wickets helped achieve a par score of 206 with Anurag staying unbeaten on 74. Serendib’s skipper Arosh Pereira was the most successive bowler with figures 8-2-17-4. After the batsmen put up a good score, the bowlers can’t be left behind and did they dominate the Serendib innings. Rajnish Shukla opened the bowling with Biju Paul. Although Rajneesh’s spell did not earn a wicket he conceded only 14 runs in 4 overs helping rest of the bowlers build pressure on Serendib’s top batting order. The first wicket fell by way of a run out and not too late, the new batsman Sasanka was cleaned up by Biju for a duck setting up the expectations for the rest of the bowling squad. New batsman Shiron was run out when an accurate through by Biju to the keeper found the batsman short of his crease. Bowlers to watch: Ashok Kumar and M. Kartik. Both bowlers were bouncing the ball to keep Serendib on back foot. 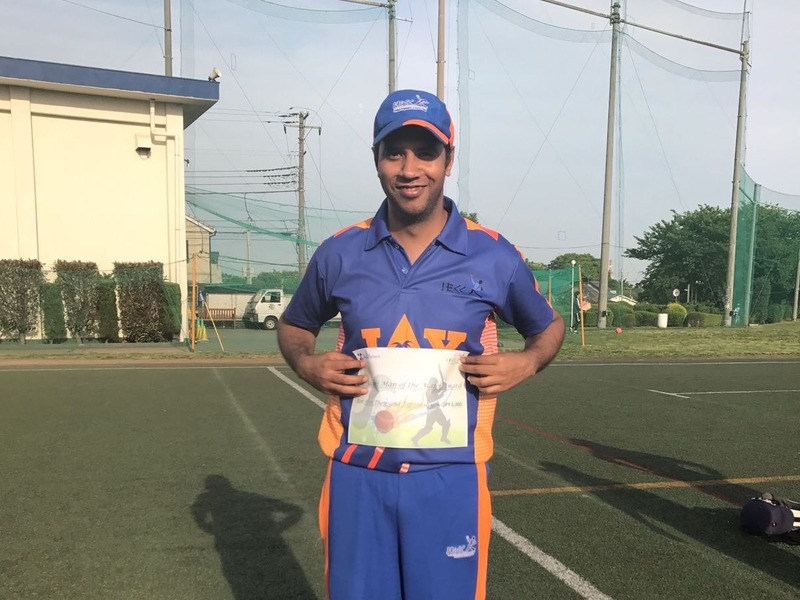 But Ashok Kumar definitely delivered severe blows to Serendib’s top order batsman sending Lasith to Edogawa Hospital to X-ray his injured hand. 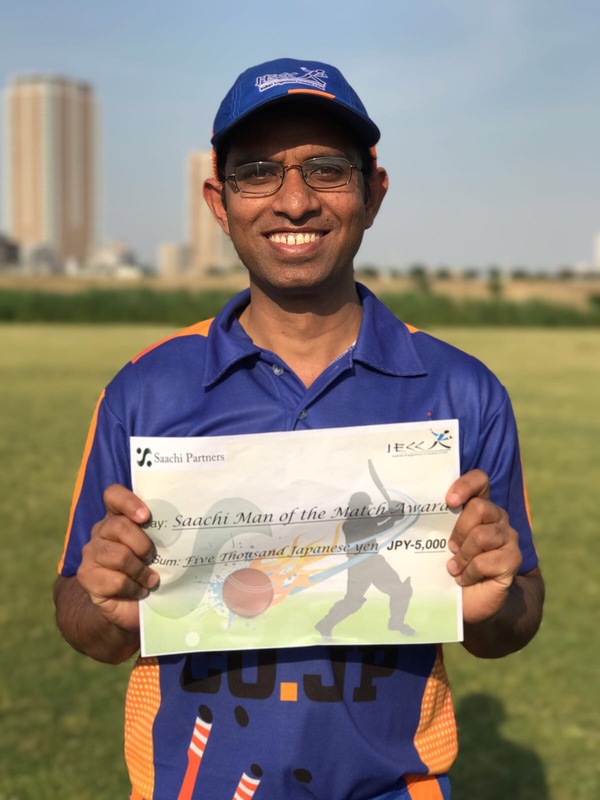 Biju, Ashok, Dinesh and Kartik contributed a wicket each where as all rounder Anurag worked his magic with ball as well striking 3 wickets in 2.2 overs while giving away only 11 runs. Tip of the day: Sanjeeb who is working out these days for his muscles, don’t be surprised if he shows up on the crease with helicopter shot.